Who knew that Thomas Jefferson could be considered the father of .....ice cream! Word is he was an early adopter and regularly served the sweet confection to his friends and family at Monticello and beyond. If you want to follow in his culinary foot steps, you'll find the recipe below. Looking for sweet spots? Find more here. If you and your family are yearning for a seaside holiday, these coastal National Parks may fit the bill. Brimming with thousands of years of human history, your family can contemplate the complexity of the natural world amidst lush rain forests, glacier-capped mountains and richly-hued seaside tide pools. There are wild animals to observe, trails to hike, rivers to fish and more than 70 miles of untamed coastline to explore. Rangers are in residence to provide input during interpretive walks, campfire programs and to help decode the starry sky. Stay in the park lodge, in cabins or pitch a tent in your own campsite. , Built in 1953, Kalaloch Lodge is the only coastal lodging in the Park. 2. Cumberland Island National Seashore, St. Marys, GA. Bypass the crowds and head for Georgia’s largest and southernmost barrier island. Pristine beaches, mud flats, dune fields and salt marshes provide respite for shore birds, sea turtles, wild turkeys and wild horses. Kayak, fish, and hike by day. 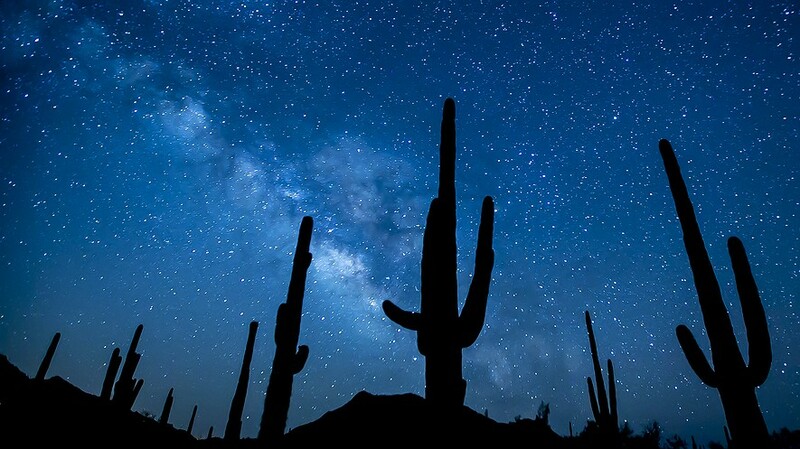 Enjoy the bounty of stars visible from your family’s campsite. (No other lodging is available on the island.) A 30-minute, daily dockside program offers insight into the island’s history, culture and ecosystem. Other lengthier tours are also possible. Check the web site for times and availability. 3. Virgin Islands National Park, U.S. Virgin Islands. Explore the underwater world via a 225-yard trail where snorkelers are treated to a signed introduction to the region’s fish and marine life. While 40 percent of the park is under the water’s surface, there is plenty to do on land. Stroll the beaches, hike or tap into the region’s history at the visitor’s center. 4. Padre Island National Seashore, Corpus Christi, TX. This Park protects the longest stretch of undeveloped Barrier Island in the world, a landscape that includes dunes, tidal flats, prairies and 70 miles of coastline. Home to more 380 species of birds, the Park also provides a safe haven for Kemp’s ridley sea turtles. Hatchling releases, often open to the public, occur from mid-June through August. Ranger-led interpretive programs broaden the experience with walks and talks and birding tours. Geocaching is a favorite activity of families who choose to explore this 15,000-acre Midwestern lakeshore. Be on the lookout for the rare Karner blue butterfly. Climb over dunes, along rivers and through wetlands as you choose from 50 miles of meandering trails. Take the Succession trail to the top of a dune for a view of the Chicago skyline. Kayak via the Lake Michigan Water Trail or claim your spot along the 15-mile stretch of sandy beach. The park’s 3.4 million-acre expanse and the region’s clean, dry air combine to provide an ideal vantage point for observing shooting stars, meteor showers and constellations galore. The conditions have earned the park Gold-Tier Dark Sky status. The area shares a strong commitment to avoid light pollution and keep the night sky visible. Stay at the Ranch at Furnace Creek and join the Las Vegas Astronomical Society for Star Parties on selected evenings. Discovered by Magellan in the 1520s, his namesake dwarf galaxies are best observed mid-December through April. And Costa Rica, the home of pura vida, is one of the few places in the Northern Hemisphere where it’s possible to view the Large and Small Magellanic Clouds. Visit the Arenal volcano region for stunning vistas or relax in a jungle resort, where guided walks through lush flora and fauna are paired with observations of the night sky. The crown jewel of Coronado is, of course, the Hotel Del Coronado http://hoteldel.com/. Before it was completed in 1877 there was little more than dust and scattered tufts of pampas grass. But the dreams and vision that brought forth the grand hotel spread outward, and shortly the whole island was transformed into the lush, green, and (relatively) tranquil community you see today. A stroll through the exquisite Coronado neighborhoods is a hint of the island's military presence on its north side. Many current and former navy personnel have homes here, and that military precision shows in the beautifully kept homes and immaculate landscaping (you could bounce a quarter off the lawns). But perhaps a better way to stroll the area around the Hotel Del is to tag along with Coronado Touring http://coronadowalkingtour.com/pop.php for a truly fun and fascinating walking tour. The grand and historic feel of the Hotel Del suggests a great story all its own, and a couple of hours with Coronado Touring confirms it. You'll even see "The Oz House", Mr. Baum's former "off-site" residence. If you can do this early in your Coronado visit, you'll then see the place with a sense of wonder you might otherwise miss (how else would you know about the secret message in the sand dunes?). The walking tour begins in the Glorietta Bay Inn http://www.gloriettabayinn.com/, which is itself significant in the story, as it's principle building was the home of Coronado's greatest benefactor and "savior" of the Hotel Del dream, John Spreckels. The Glorietta is a terrific option to the Del Coronado, as you are just across the street from the Del but can choose from luxurious and historic rooms in Spreckels's original house or more modern and affordable rooms of various sizes throughout the rest of the hotel. The entire property is immaculately kept and the friendly staff clearly take their cue from, Claudia, the Glorietta's gregarious and hospitable manager. The vivid and fascinating history of the island lends a richer tone to everything else you experience afterward. Just a few blocks from the Hotel Del, Clayton's Coffee Shop could be just a nifty 50's-themed diner (albeit with great food and sumptuous milkshakes), but now it feels like a time machine and you wouldn't be surprised to see Mr. Baum himself at the counter reading the day's paper over a coffee and apple pie. Two more blocks along Orange Avenue will find you transported back to that golden age of theatre at the incredibly restored Village Theatre http://www.vintagecinemas.com/village/, and two blocks back on Orange Avenue from Clayton's will satisfy that old fashioned summer yen for handcrafted ice cream at the Moo Time Creamery http://www.nadolife.com/mootime/loc-coronado.html. And of course many of the shops at the Hotel del Coronado itself http://www.hoteldel.com/Shops-at-the-Del.aspx recapture that historic feel, like at Spreckels Sweets & Treats, where you can get (among loads of other things) the same fudge or saltwater taffy that Frank Baum undoubtedly sampled. But while Coronado Island certainly honors its rich history, it has grown up nicely with terrific contemporary offerings. Head south along the narrow peninsula (Coronado is technically not an island) where you'll find the contemporary and luxurious Loews Coronado Bay Resort http://www.loewshotels.com/Coronado-Bay-Resort, one of Parents Magazine's "10 Best Family Beach Resorts". The sheer luster in the recently refurbished interior betrays the many family-oriented amenities, including poolside movies (at just one of the three pools! ), a dedicated kids' activity desk, and rides in one of their authentic Venetian gondolas. And it's just a short walk or free shuttle to the quiet Silver Strand State Beach, which might seem like your own private beach, relative to crowds at Coronado Beach. Further along Orange Avenue from the Hotel Del on the north side of the Island you'll find a host of shops, restaurants, and activities surrounding the Ferry Landing http://coronadoferrylandingshops.com/. Nearby the Ferry Landing is the sumptuous Coronado Island Marriott Resort http://www.marriott.com/hotels/travel/sanci-coronado-island-marriott-resort-and-spa/, with exquisite views over the bay to the beautiful San Diego skyline, rejuvenating spa treatments, a private water taxi across the bay for guests, and a lush pool and outdoor restaurant that you may find difficult to leave to explore Coronado. - Haute Culture: and evening at the impressive Lamb's Players Theatre http://www.lambsplayers.org/. Heading out with the grandkids?